Rhythm Heaven has a series of mini games where the player must match the movement of the character to whatever rhythm is in the background. Every so often, the player has a chance to go for a “Perfect” and win a medal. Winning these medals allows the player to unlock special levels and features within the game. The little pink “P” with “Go for a Perfect!” hanging on the top left of the screen is as stressful as it is exciting. If you mess up once, then you automatically lose the session. If you mess up three times, then you lose the chance to win a perfect for that level. One you lose the chance to win a perfect for a level, you must wait until the next opportunity comes up, however, waiting feels like an eternity! When playing for a perfect, you must put your undivided attention to the game. One little slip up, even the tiniest variation in the flick of the DS control stick, could cost you the perfect. Honestly, it’s more about pride than anything else. I’ve never been so intensely focused on a game. It’s strange, because there is no tangible real-life outcome, there are no real-life prizes, there is only me and my pride. Still, as a perfectionist, these opportunities would simultaneously thrill me and fill me with dread! I had to get a perfect and I tried ever cheat I could just to get one, but it never worked out. You can’t turn off the game and restart a level to save up on chances, because the game automatically saves when you start a level. Trust me, I tried. I ended up completing a bunch of perfects, but it cost a ton of time and energy. In my opinion, it was totally worth it. Seeing the “Superb!” at the end made me feel like a beast. I read an article that analyzed the physics behind the 1919 Boston Molasses Flood. Initially I did not see it relating to the game in general, but after further inspection I saw that it did involve some of principles that the game aims to teach. The 1919 Boston Molasses Flood occurred when a storage tank full of Molasses broke and let loose a 7 plus metre tall wave of molasses loose in Boston. This wave caused multiple building breakdowns as well as injuries and deaths. The physics behind the massive damage caused by these molasses relates to gravity currents and density. Scientists were able to tell that the molasses were warmer than the air that surrounded them causing an explosion. Immediately after the molasses became colder and more dangerous. Finger Physics bases a lot of its levels on gravity, and the placement of objects. If one does not take into account gravity or correctly places objects in manner that they will not fall, then damage occurs. This is exactly what happened in the Molasses Flood. Due to the explosion, the molasses were not placed correctly and they caused damage to the surrounding buildings. There are certain levels in the game where one cannot let hot objects touch cold objects, or they explode. Before I had only thought of this process as the typical water puts out fire perspective, instead of taking into account that the objects could also relate to the density seen in the flood. This connection allowed me to further understand the point and involvement of science in a game that I had initially thought of as a fun building block game. At first sight it is easy to get engrossed into the fun game without thinking much about the mechanics at play. Once I was able to sit down and actually think about the physics involved, the game deepened in meaning and purpose. According to game critic and designer Heather Alexandra, “videogames have a pessimism problem.” Too many of today’s games are set in worlds as bad as or worse than our own, and too many of these games’ protagonists are just “everyday people … wad[ing] through a sea of corpses ” (Alexandra). In other words, have too many neo-Tokyos and too few Mushroom Kingdoms, plenty of Nathan Drakes and Lara Crofts but not enough Links and Marios. Overall, I agree with Alexandra. I love titles like Batman: Arkham City and The Last of Us as much as the next gamer, but lately I have found myself gravitating toward titles that aren’t so emotionally draining. I don’t think I’m alone in this craving, either, and developers are already responding to gamer demands with cheerier takes on typically dark genres and series. Compare, for example, Skyrim Special Edition’s injection of color to the original’s grey and dark-grey palette, or GTA V’s sunny Los Santos to GTA IV’s drab Liberty City. Optimistic games are now largely coterminous with mobile or casual games, and consoles are left with bulk of the serious, cynical titles. Somewhere in the migration, hero characters were removed. Even casual games that feature protagonists delegate the in-game actions to some invisible, god-like force: who pulls the slingshot in Angry Birds? Who cuts the rope in Cut the Rope? Who takes the shot in Desert Golfing? My answer: I do. You do. We do. In today’s optimistic mobile games, the player is the hero. We don’t play as the hero or even become one – we just step into a frame that instantly recognizes our omnipotence. Games that integrate with social networks to merge our ‘real life’ identity with your in-game one make the player-hero boundary even fainter. Conflating the player and the hero is both extremely optimistic and extremely delusional, underscoring our expectation that mobile/ games’ deliver us, however briefly, away from the stresses and struggles in our own world, which can come awfully close to resembling the apocalyptic ones depicted in “pessimistic” games. What about Desert Golfing? There’s no hero but the player here, either, but surely a game about an infinitely looping task can’t qualify as “happy.” Well, Albert Camus would likely say it can. My knowledge of philosophy is pretty limited, but I have at least learned when to name-drop Camus’ landmark suggestion that “one must imagine Sisyphus happy.” It’s an apt enough metaphor when talking about Desert Golfing just for the game’s similarities to the “OG” Sisyphean task: Drag. Release. Repeat until the ball is in the hole (which sometimes does happen to sit at the crest of a hill). Repeat steps one thru three ad infinitum, or at least until the game’s procedural level generation breaks. Hero-less mobile games like Angry Birds and Candy Crush process Camus’ imploration on their own. When they populate our phone screens between shifts and during commutes, these games envision a happy Sisyphus – namely, they envision us as the happy Sisyphus – and project back what that might look like. 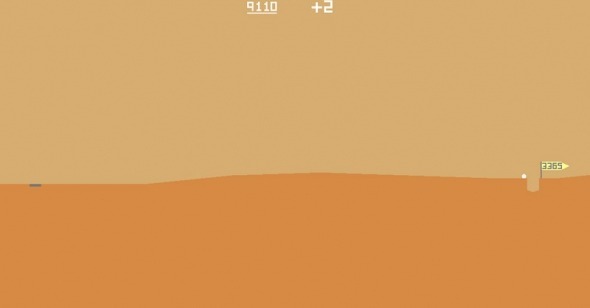 But as I’ve mentioned in previous logs, Desert Golfing is the rare game that refuses to speak to or for its players. 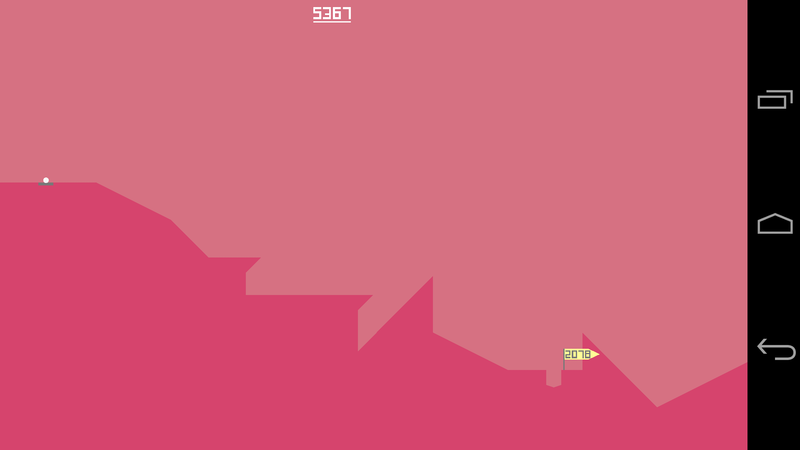 Desert Golfing gives us the boulder and the hill and leaves the rest to our imagination. Heather, Alexandra. “Videogames Have a Pessimism Problem.” Paste Quarterly. Paste Media Group, 4 May 2015. Web. 11 Dec. 2016. The game Citopolis reminded me about the processes that define game play and inner workings of the simulation. Through understanding these processes, game play should become easier. Balancing the city’s happiness is easier when you know that you will need to build new parks proportionately to the new businesses you establish and upgrade. More action in one district requires more action in another. Understanding the results of your reactions can improve your ability to respond to the situation in any similar simulation game. This understanding of a simulation game is taken to the extreme when players write A.I. computer programs to learn and play the game themselves. FreeCiv, is an online, open source game based on the Sid Meier Civilization games. The open source nature of the game gives players access to the code and inner workings of the game. Many players take advantage of this to create programs that can master the game for them. Many players use simple optimization strategies that determine the optimal levels of resource management and unit or building construction. In Watson et al., players describe how to utilize a genetic algorithm to automate the optimization process while playing FreeCiv. Given that the computer program understands the inner workings of the game through the code, the program can essentially understand and test the results of its game play and thereby find the optimal strategy through hundreds of thousands of iterations of the genetic algorithm. Another example of using the inner workings of the game to the player’s advantage includes the company Argo’s use of AI to play FreeCiv. In the video below, the program developers describe how they teach and train HIRO, to play the game. Through machine learning, the AI can explore all possibilities of gameplay and identify what works best. Only through the utilization of the game code and processes can all the possibilities of gameplay can be explored. HIRO can play FreeCiv automatically and eventually, after continued practice, the company hopes that HIRO can challenge some of the best FreeCiv players in the world. Throughout the whole session, I performed the same exact action – dragging and releasing on an on-screen golfball. But an unexpected spike in difficulty level transformed my “Zen” state into pure irritation. How did this happen? When does repetitive gameplay traverse the line from relaxing to enraging? Ian Bogost’s essay on how video games “do” Relaxation provided some helpful insight for answering this question. Paging through the chapter again, I was struck by Bogost’s citation of the Harvest Moon series as an example of relaxing games, and his accompanying claim that the farm-sim series boasts the “most Zen gardening in a video game by far,” better even than Animal Crossing (93). If he was able to find inner peace in a series that I would personally describe as “Running Errands: The Videogame,” then I harbor nothing but jealousy of and admiration for his own mental placidity. I was especially surprised by Bogost’s claim that “Harvest Moon emphasizes the repetition of simple tasks as much as, if not more than, their outcomes,” (93). 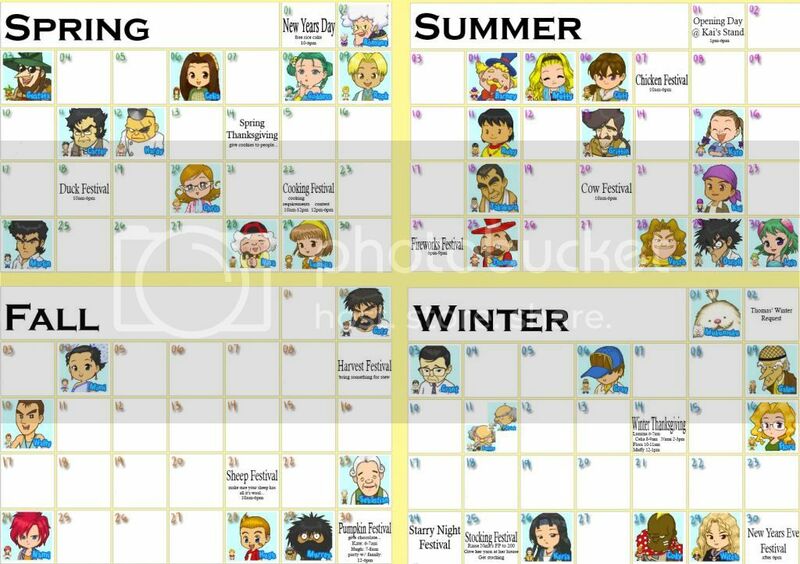 When I play Harvest Moon, I have the exact opposite mentality: after every action, I nervously glance at the in-game clock and calendar to check how much time I have left in the day/week/month/season to achieve a particular goal. Quite contrary to Bogost’s own experience, for me Harvest Moon is almost exclusively about the outcomes of my in-game actions. Stress from Harvest Moon is a product of worrying too much about the long-term outcomes of in-game events. Desert Golfing has no end-game nor long-term punishments to speak of – so how can it induce stress? Well, I mentioned in my first entry on Desert Golfing that the game’s extreme commitment to minimalism bears the side effect of amplifying whatever messages it does transmit. The game’s “silent treatment” feeds either the player’s frustration or relaxation – whichever happens to be active at a given moment. If I’m hitting my stride with a series of hole-in-ones, I’ll view the persistent stroke/”score” counter at the top of the screen with a shrugging acceptance. But give me an impossible level and the counter suddenly reads like a passive-agressive sneer at my ineptitude. Depending on how I feel, Desert Golfing‘s sole informative message reads like notches on my belt or tallies on my cell wall. Desert Golfing is the ultimate Zen game for its unwavering commitment to neutraility, and for its resulting propensity to deflect and reflect the player’s emotions back upon him/herself. Bogost, Ian. “Relaxation.” How to Do Things with Videogames. U of Minnesota Press, 2011. My previous blog post on the mobile/casual game Citalis, focused on the role of algorithms creating the game environment and limiting the game experience with their simplicity. In this post I will explore how these same algorithms make assumptions about the world around us and the implications of these assumptions. In The Algorithmic Experience, Burden describes in reference to Portal, how “The ability of algorithms to perform sufficiently better in the regulation of human affairs leaves us without the confidence of our own identity – those who can see beyond the system’s assumptions can only scrawl the truth on the confined walls outside the official chamber.” I believe he is saying that there is power in recognizing the underlying assumptions of an algorithm and what it says about us and our culture, because only when we recognize these assumptions can we break away from those that we believe are morally or inherently wrong. In Citalis, the happiness formula utilizes a ratio of parks to businesses and homes. There is the assumption that all happiness derives from natural beauty (parks) and when paired with the assumption that crime is tied to not everyone being happy, the assumption that a lack of plentiful (enough parks) natural beauty will lead to crime. While these connections sounds ridiculous when paired together, during gameplay, this assumption flows naturally as you concentrate on producing profits and maintaining happiness. It only when you investigate the assumptions that the reality falls apart. Each business’ profit will continue to rise, as long as crime remains low. Crime is the only factor that slows down business process in the game. An important cultural assumption the game makes is the simulation of capitalist dominant money focused objective. The machine behind the city is money and money comes from building more and more until we reach an end goal of having more money than before. I imagine the process as a snowball rolling down a hill collecting more and more snow as it heads towards an abyss. There’s nothing interesting in the end, just the accumulation of wealth and overall emptiness. Recognizing the assumption of processes around us can be a catalyst for change. As Burden also states: “Algorithms are unable to adapt to change, and we are limited by the parameters of the machine and the way it is designed to process those parameters.” It’s when change renders an algorithm false and ineffective, that its important for people to learn about the underlying assumptions that make these algorithms invalid, and make the adjustments necessary to accommodate the changing times. The mobile, casual game Citalis, is a city simulation game that requires the player to manage commercial, residential and park land plots to achieve a healthy balance of commerce, beauty and happiness of the simulation citizens. There are options to build commercial businesses, and then upgrade them so that they generate more revenue. Your residents populate the jobs at these businesses, and also demand a certain amount of city beauty so that they stay happy. If you build a new business, a new park may be necessary to maintain the same level of citizen happiness. If happiness is left unaddressed, crime rises and business’ may close. The objective of the game is to pay off your $10,000,000 loan eventually, without going bankrupt. In the Citalis game, the player manages housing, business and park districts to keep an algorithmic balance between profit, happiness and crime. The happiness in the next period is a product of the current period’s happiness and the ratio between parks and other buildings. As long as this ratio is above one, happiness will not change, (and remain at 100%) in the next period. There are certain types of parks that are more successful at increasing happiness than others, and accounts for this factor. Other processes, like crime are a simple function of Happiness. Anytime Happiness drops below 100 percent, the Crime rate increases in the next period. The algorithmic processes of the game are simple enough that they are obvious in gameplay. They allow the environment to process like a normal city, but the simple nature of the algorithms also take away from some of the gameplay. The player does not need to actively participate in the environment overtime if they have already reached 100 percent happiness. As businesses generate money in this environment, all one would have to do is wait until enough money is generated to payoff the loan. While this wouldn’t be an exciting way to play the game, the game does not demand active participation, and takes away from the overall experience of the game. Game Log #5 (The Walking Dead): Is This a Mobile Game? I played Telltale’s The Walking Dead on my iPhone. Despite the connotations that typically surround mobile games, The Walking Dead is anything but a simplistic, time-wasting experience. Instead, the game functions as a sort of next-generation choose your own adventure, with the player’s decisions and relationships with in-game characters shaping the course of the story. Beyond this, actual gameplay is limited to occasional swipes to navigate and interact, and The Walking Dead ends up sharing more similarities with a movie than it does with anything else. It even progresses in a series of episodes in the spirit of The Walking Dead television program on AMC. Is The Walking Dead a mobile game? Intially, I would have to say that no, it is not a purely “mobile game.” While I played it on a mobile device and had the ability to be physically mobile while I played, its length and price run counter to the short and sweet characteristics typical to most iPhone games (I recognize that countless hours can be poured into certain mobile games, but I am referring to how many of these games are designed to be played in short, incremental sessions in moments of boredom). At a length of 5 episodes and a 22 dollar price tag to purchase all the installments in a bundle, the The Walking Dead certainly resembles a full-fledged game experience that one would find on a PC or a console. This is due to the fact that the game was made for these platforms along with the iPhone version that I played. On the other hand, I also have trouble defining The Walking Dead as a purely console or PC game. The fact remains that I did play it on a mobile device. While I occasionally played it in long stints, I also used it as a time killer just as I would utilize Angry Birds or Bloons Tower Defense, with some of my gaming sessions admittedly occurring during visits to the restroom. The mobile version of The Walking Dead also has an in-app purchase system for acquiring the different episodes, and I will profess that this turned me off from playing beyond the first episode. In-app purchases tend to push me away from continuing to play a game as I feel as though I am missing part of the experience due to a paywall. The reaction I had to The Walking Dead was similar to ones I have had to countless pay-to-win apps that I have downloaded and quickly deleted in the past. So the question remains: is The Walking Dead a mobile game? I would have to conclude that in this case, there is not a real distinction to be made. In the same way that viewing a film on a phone may not be as “full” an experience, will lesser visuals and sound, the film can still be watched on the device regardless. The movie, at its core (title, dialogue, plot etc..), remains the same movie regardless of the screen it is watched on. I think this is an effective way of thinking of The Walking Dead. The Walking Dead treads the line between console and mobile categories, but in this case there does not seem to be any reason to make a distinction. Telltale interactive even designed The Walking Dead with an engine specifically designed for multi-platform compatibility, and I think it is safe to assume that to them, the game was never strictly meant for one platform over another. To the developers, multiple platforms ensured maximum players and profit. While I understand this may not be the most revolutionary of conclusions to make about the game, the fact remains that The Walking Dead is neither a console nor a mobile game. It’s both. The Pokémon franchise is well known for its cast of colorful cartoon animals. Children of all ages easily come to love these creatures and do all that they can to raise them, but does this love of fictional animals translate into a love of real animals? Four professors at Cambridge seem to believe that it does not, but that it could. In their article, “Why Conservationists Should Heed Pokémon,” Andrew Balmford, Lizzie Clegg, Tim Coulson, and Jennie Taylor detail how they came to this conclusion. Many Pokémon resemble flora and fauna from our world, so does this foster a protective instinct? In the article, the researchers discuss an experiment they conducted which determined a child’s ability to recall the names of a random selection of local wildlife and a random selection of Pokémon (Balmford et. al. 2367). Unsurprisingly—depending on your Pokémon fan status—the children were much more able to recall the names of the Pokémon than they were able to recall the names of the local wildlife (Balmford et. al. 2367). The researchers cite this result as proof that kids can get excited about wildlife and conservation when they are interested in the subject (Balmford et. al. 2367). While I believe the researchers are making an interesting point, I am having some trouble with their tangential association of conservation to Pokémon. In my opinion, the researchers only focused on Pokémon as an example of a way that conservationists could go about improving interest in conservation. However, when I played Pokémon X, I found the game to contain an extremely conservationist message. Throughout the game, the player encounters numerous characters that encourage the player to develop a strong, loving relationship with their Pokémon. In the Pokémon world, the Pokémon are wild animals, so the game is therefore advocating that the player develop a relationship with wild animals outside of the game’s magic circle. Pokémon X’s conservationist message can also be seen through the game’s villains: Team Flare. Team Flare seeks to make the world a “more beautiful place.” Though they aim to achieve this goal by eliminating Pokémon and conflict by enslaving the population, their message is still rather conservationist. In defeating the villains, the player enables all of the wild Pokémon to continue living a peaceful life, thereby preventing a mass extinction event—another conservationist cause. Team Flare seeks to make the world a better place, some of their goals include maintaining energy consumption at conservable levels. These are just some of the many examples of the conservationist messages scattered throughout Pokémon X. I fully believe that these researchers missed the mark in their article. Rather than focusing on the things conservationists do wrong, they should have focused on the things Pokémon X and the Pokémon franchise do to further the conservationist cause. Balmford, Andrew; Clegg, Lizzie; Coulson, Tim; & Taylor, Jennie. “Why Conservationists Should Heed Pokémon.” Science, vol. 295, no. 5564, 2002, pp. 2367–2367. The gameplay consists of dragging on, then releasing the ball to send it flying toward the flag-marked hole. Level 2 plays exactly like Level 1. … and plays exactly like the previous 3,364 levels. Much like the single fly that hits the windshield at hour five of Penn & Teller’s infamous real-time road trip simulator, Desert Golfing introduces visual change rarely and stingily. Actually, this game is definitely more generous than Desert Bus, as it eventually swaps out the initial brown-and-darker-brown dunes for more vibrant palettes. An easy reading of Desert Golfing might be to buy into its nihilist presentation and conclude, along with many others who have written on the topic, that the game has no meaning. But to my mind, a complete analysis of this game requires consideration of its fanbase and, for lack of a better term, “meme status.” I’ll certainly continue pondering the meaning of this game’s existence (and my own) as I steadily add to my stroke count during my next two play sessions. For the moment, though, I’m more interested in the extant online discussion and media attention surrounding Desert Golfing. Desert Golfing has been branded as many things online, from the “best game in the world” to a “transcendent beauty” to a parody of casual gaming. In isolation, I’m not sure if it’s any of these. I can easily imagine someone stumbling across the game without any awareness of its online following. Such a player would likely perceive Desert Golfing as shovelware – that breed of low-budget, imitative games that fill bargain bins at gas stations and WalMarts – not a “meta-” or “counter-” game, not parody, not funny, and probably not even “good”. They wouldn’t necessarily be wrong, either. Desert Golfing‘s absolute commitment to minimalism means that it cannot (or rather, chooses not) speak for itself as anything more than a game about putting a golfball into a hole again and again and again until the game’s randomization engine produces an impossible level. Perhaps is why the game seems to frustrate and confound so many players: we expect and crave games that fit neatly into existing genres or else boldly proclaim themselves as trailblazers into a new category. Acting as the gamic equivalent of the magic circle’s spoilsport, Desert Golfing neither resists nor submits to genre classification – it just doesn’t care. In its silence, Desert Golfing‘s meaning is best derived from the voices of its players.